No one ever said that training for a marathon would be easy, and I get that. This morning, I felt the lows of training. 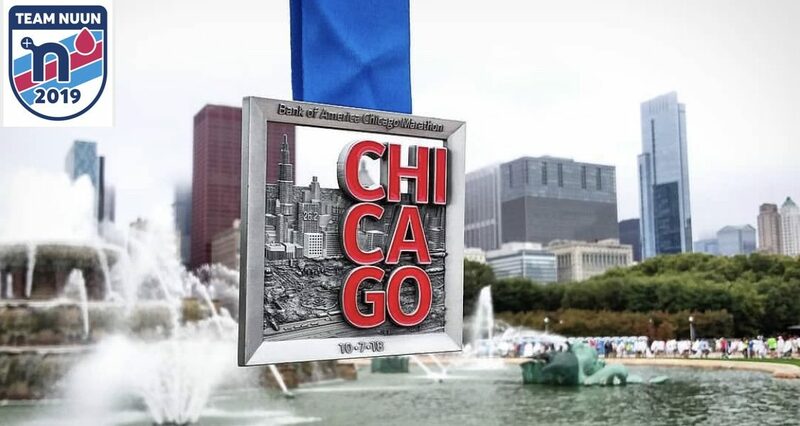 I had registered for a 20 mile run that was on my way to Chicagoland since I had to be there the next couple days. The weather was perfect. It was a little overcast and the temps were in the low 50s at the sound of the gun. My alarm went off at 4:30 this morning and I was off. It was a little over a 2 hour drive. When I got to the fair grounds where the race start/finish line was, I was feeling pretty good. While I driving, I made sure I was doing the right things. I had my Nuun (2 x 32 oz. out of my Yeti), a peanut butter and banana sandwich, and a honey stinger waffle. I was feeling great. The race started at 7:30 and I came out of the chute feeling great. I was hitting times in the 8:40s/8:30s for the first 9 miles and I knew I was a little too fast and scaled things back a little. I took it back to my goal marathon pace and was hitting the 9ish minute paces up until the turn at the half marathon mark. I was still feeling great and hit PRs for 15k, 10 miles, 20k and half-marathon. One could say this was a perfect race in the making. I hit 13.5 miles and it all went down hill. I could feel my legs starting to cramp in my quads. Last time I cramped up, it was in my calves. I stopped running and took it down to a quick walk. The next 5 miles was all run/walks and killed my times. I was doing mile intervals in the 11-14 minute range. There are videos of people’s legs shutting down at the finish of half and full marathons at the finish and need help by other runners to finish out there. We have all seen them. That’s exactly how I felt. I was completely locked up and actually bent over and rubbed my legs out. I hit 18.5 miles and I was done and cut the course (yes, I broke the rules…shhhhh), but I literally didn’t have it in me to go an extra mile. Through the frustrations, I have to look at the wins I had and the learning experience with this being my longest run thus far. I was PR’ing everything and feeling good so I can’t complain about that. The big lesson learned is not to come out of the chute too fast, even though I was feeling good and hitting good lap times. I have to go my own pace. We are now 28 days from race day in Chicago. I have a 15 mile progression next week, 20 miler, and then a 10k race for the week before the 26.2 Chicago miles. I have a plan in place now so my legs won’t lock up on me again after going to the local running store. Salt capsules it is. I think you did an amazing job! And, you learned a lot – better now than after the race. Keep up the good work. You are my hero. I first heard your story many years ago. You must have the heart of a lion.